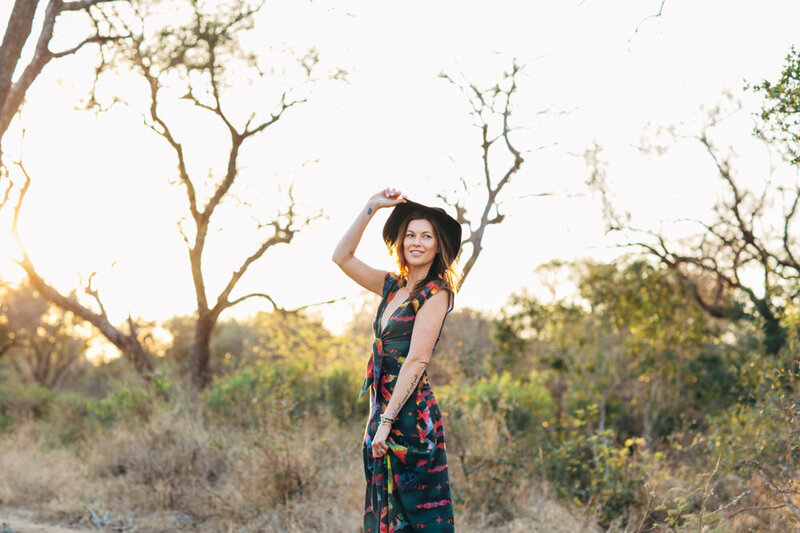 Born and raised in San Diego's North County, Tristan Prettyman Maris is a certified Health Coach, and the founder of The Good Path SD. For much of her life, Tristan's main focus has been on music: she was signed to Capitol Records at the age of 22, and released five albums over the last 12 years. You might be asking yourself, "What do music and nutrition have to do with each other?" But it was actually music that led Tristan down this path of nutrition, health, and wellness. Reflecting back on her time on the road while touring, Tristan noted, "Traveling can be tough, our routines get off-track, and let's be honest, there are not a lot of healthy options in airports or truck stops. On tour it's even worse, you are traveling and basically going from venue to venue, and never getting to explore much of the town you are in or see what it has to offer." Frustrated with being super health-conscious at home and not being able to sustain that on the road, Tristan started coming up with hacks for travel by focusing on all of the things that made her feel balanced at home: having access to a health food store, fresh produce, making smoothies, superfoods and herbs, practicing yoga, getting a good night's sleep, walking in nature, etc. She started to figure out ways to bring these vital elements into her routine while on the road. Tristan added, "Bringing a Vitamix on the road, and a Pelican case full of super foods, was huge...total game changer! I would try and research as much as I could before we got to wherever we were going next; I'd locate the nearest health food store, a yoga studio, a walking/biking path, an organic restaurant, local coffee shop/bakery. There was no Whole Foods back in those days, so it was literally these mom and pop juice shops and tiny stores. It was like a game for us. The band and I loved finding these little sweet spots and then every time we would pass through that town, we felt like locals, we knew exactly where to go to get the goods!" By dropping and listening to that inner voice, she was able to give her body and mind what it needed to stay balanced and thrive, and deliver a great show night after night. Tristan explains, “When I found out I was pregnant, the musician in me turned off and the mama bear kicked in. For me, pregnancy was literally like training for the most important marathon of my life, and I’m not even a runner! I made sure to exercise, even when it was the last thing I wanted to do. I knew things like yoga and strength training would help keep my body flexible, core and pelvic floor strong, and walking would keep my blood flowing and lymphatic system moving. Equally important was resting, when my body was telling me to rest. I’m always doing 90 things at once, I never stop. So this was probably the hardest part for me, allowing myself downtime, and releasing the pressure of feeling like I had to do it all. As far as food goes, I was extremely mindful about what I was eating. I made sure to include a wide variety of fresh fruits and vegetables, TONS of greens, nuts, and seeds. I got rid of all processed and refined foods, and any added sugar, etc. (although I still had a donut here and there!). I wanted to give our baby the best start I could, and for me, I really believed it started in the womb with the raw materials (food) that my body was using to create this human. I loved being pregnant and I had a completely natural childbirth, I actually really enjoyed labor and childbirth. I know you don’t hear that often, but it's true!" Tristan and her husband welcomed their son in August of 2015, on their one-year wedding anniversary. Reflecting back, Tristan said, “When our son was born, I planned to take about six months off and then return to music, but six months came and went and I still wasn’t ready.” In the meantime Tristan was becoming more and more interested in food, nutrition, holistic health, and wellness. Tristan shared, “I remember I was reading Elizabeth Gilbert's book Big Magic, and I just decided, 'You know what? Life is short. This is what I am curious about. I never went to college, never had any formal education, so might as well start here!' I enrolled in the Institute for Integrative Nutrition right then and there, and that's really when this whole thing took off." Tristan graduated from the Institute for Integrative Nutrition, Class of January 2017, as a Certified Integrative Nutrition Health Coach. She explains, “I never thought this was what the next chapter of my life would look like. I never had any plans to actually coach, it was always just for my own benefit. But there was a part of me that felt like I needed to share all of this information that I had learned over the years, it felt selfish to keep it all to myself. When I had that realization, everything unfolded organically. People started reaching out for consultations and enjoying the experience so much. They'd say things like, 'That was great! What's next? How do I sign up?' When I look back, it makes perfect sense. I have been health-coaching myself for the past 15 years. This feels very natural and very parallel to what it felt like when I decided to try my hand at music. What has been equally amazing is my fans have totally embraced this new direction. Some of them have even signed up for my program." Tristan is open to coaching all walks of life, and hopes to be able to provide coaching services to touring musicians and celebrities in the future. Right now she is especially fond of working with other moms, or moms to be. Tristan notes, “I think when you become a mom, you can suddenly relate to every mom on the planet. In my opinion, moms are the real rock stars in life. They wear multiple hats: mom, wife, caretaker, employee, CEO, board member, business owner, entrepreneur, teacher, Girl Scout leader, coach, chef, friend, listener, student, etc." Tristan understands how easy it can be to put your own needs aside, to make sure everyone else is taken care of, adding, "The reality is, when we don’t fill up OUR own cup, we can’t fill up anyone else’s. There’s a reason you put on your oxygen mask first, before you help someone else put on theirs. You have to be taking care of yourself, in all aspects, and this includes your own diet and nutrition. I have met so many women who want to provide a solid foundation for their kids and their families when it comes to food, but are confused by all the information out there. They don’t know where to start. They are overwhelmed, so it's even harder to make a change. And that's where I come in." Tristan develops six-month programs based on each client's individual needs, focusing on areas where they need the most support and accountability. Together, the client and the coach can establish new habits and integrate them at a pace that is comfortable for the client, their family, and lifestyle. Tristan explains, "I like to look at all areas of life, to see where balance is needed. It's very much a 'teamwork makes the dream work' scenario. I can't do the work for you, but I can help guide you in the right direction, and I can be a sounding board to help you organize your thoughts and goals. I can also help you recognize patterns you might not see in yourself, and help you get out of your own way so that you can move forward. I'm also a great cheerleader!" Tristan goes on to say, "You can’t tell someone to quit all their bad habits and jump on this other bandwagon. For some people that is everything they have ever known. It's just not realistic. I am all about implementing small changes over time. By sharing my personal journey, and the research I have done, it makes it less scary for someone embarking on this new path. As a new wife, a new mom, someone who has spent a lot of time through trial and error figuring what works for me and what doesn't, across all levels of life, I totally get how overwhelming that can feel if you are stepping into these spaces for the first time. You have to trust the process, but it also has to be fun and enjoyable. Everything isn't going to just happen overnight. It's a complete lifestyle shift, not a quick fix, but when you aim for consistency over intensity, slowly but surely some of the negative habits start to fall away and get replaced with positive ones. Most importantly, it's good to recognize that by stepping into these unfamiliar spaces it is actually a huge act of self-care. You're actually creating the space to grow, to allow the most authentic version of YOU to show up. And when that happens, it's magic." Tristan currently coaches from home in Cardiff-by-the-Sea, California. Earlier this year she completed a six-week course studying Organ Physiology & Nutrient Deficiencies with local San Diego herbalist Shana Lipner of Sage Country Herbs. Tristan recently recieved a Plant-Based Nutrition Certificate, Completed May 2017, eCornell and T. Colin Campbell Center for Nutrition Studies Plant-Based Nutrition Certificate through eCornell University. She is sure she will make more music one day, but right now she’s focused on following this new calling, sharing her knowledge, continuing her education, and helping other people find and follow their good path. Graduated from Integrative Nutrition's Health Coach Training Program February 2017. Able to demonstrate an ability to understand and utilize a wide range of dietary and nutrition theories, as well as develop business and coaching skills to practice in a variety of settings. Students have been trained to educate and guide clients to make behavioral changes resulting in improved nutrition, dietary habits, and physical ability and overall greater health and wellness. Skills include: Accountability, active listening, coaching skills, global food issues, health education, interpersonal communication, nutrition education, nutritional health coach, time management. Skills: Able to understand the state of nutrition and reflect on your personal nutritional background. Describe the role of macronutrients in the functioning of the body. Recognize how government and industry can affect dietary choices and the environment. Explain the role of nutrition in the development of chronic and degenerative diseases including cancer, heart disease, and diabetes. Identify ways to implement whole food plant-based meals for you and your family. Illustrate how a whole food plant-based diet can help improve strength, speed and endurance for athletic performance. Explore the psychological reasons we are drawn to foods that do not support health. Summarize the relationship between diet and weight loss. *Tristan coaches from a whole foods plant based diet approach, but encourages her clients to build their diets around the foods that feel best for them. She understands that everyone's body requires different need. She encourages her clients to dive deeper into intuitive eating, remaining flexible, while using a "crowding out" approach as a way to replace highly processed, refined foods with higher quality, whole foods. Studied with Herbalist Shana Lipner of Sage Country Herbs in San Diego, CA. In November 2016, completed a 9 week course in Organ Physiology & Nutrient Deficiencies. *Currently enrolled in a 14 week Herbal Formulations and Constitutional Theory Course (through November 2017) that will allow students to assess typical nutritional deficiencies and prepare a variety of effective nutritional and herbal remedies to address our most common health issues like colds and flus, respiratory infections, urinary tract infections, musculoskeletal pain, headaches, high blood pressure, etc.